Purchasing Dotco power tools for your business will ensure you have finest tools at your disposal for material removal applications. Dotco tools are known for their durability, versatility, and performance, and their ergonomic designs make them extremely comfortable for the operator to use. 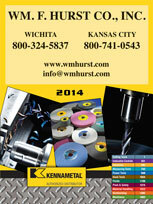 If your company is located in Kansas City, Wichita, Dallas, Fort Worth, or another nearby city in the Midwest and you want to buy Dotco power tools, turn to Wm. F. Hurst Co., LLC. 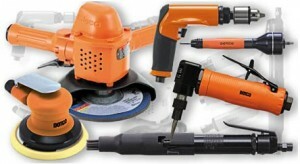 We’ve been a trusted distributor of high-quality power tools and other industrial supplies for more than a half century, and we offer a comprehensive selection of tools and accessories from industry leader Dotco, which is part of the Apex Tool Group. When dealing with Wm. F. Hurst, you can rely on our expertise in order to find the right tool for any application. Our sales representatives have in-depth knowledge of all the industrial tools in our inventory, and we can assess your needs and provide product recommendations that can help you improve processes within your operation. To learn more about our selection of Dotco power tools for businesses in Kansas City, Wichita, Dallas, Fort Worth, Joplin, Sedalia, Columbia, Springfield, and many other surrounding cities in the Midwest, contact Wm. F. Hurst today. We also offer a wide range of other industrial supplies, including air tools, cutting tools, hand tools, metalworking fluids, industrial abrasives, and safety equipment.